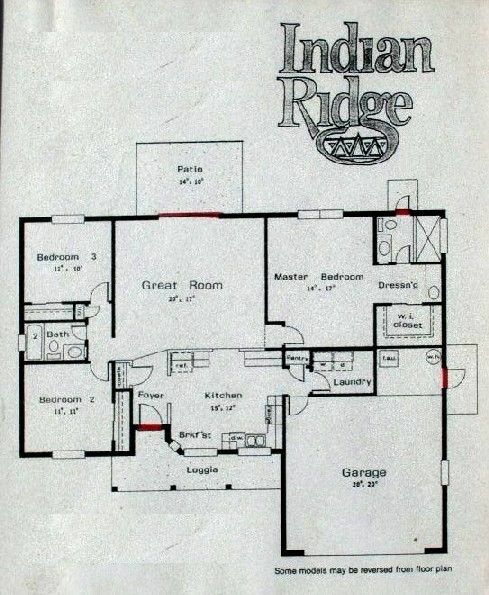 Beautiful 3 bedroom and 2 baths on Indian Ridge, only minutes from Disney. 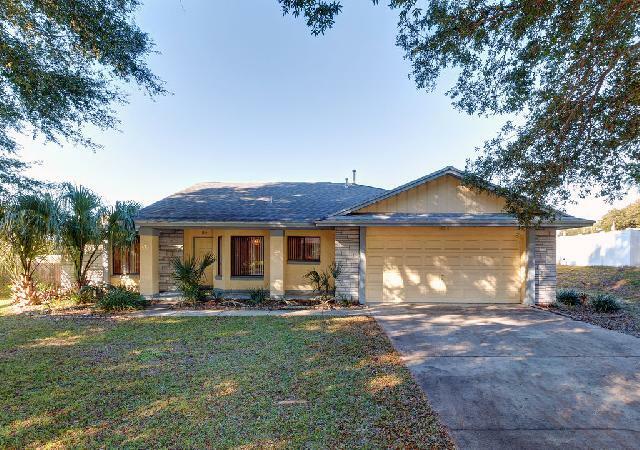 The property is located at the end of a quiet, secluded cul de sac on the Indian Ridge Community at Kissimmee, near Orlando, Florida. This is a perfect location for the Disney resorts - within 10 minutes drive. It sits on a large plot with well-maintained gardens and mature trees. Two twin bedrooms, both of these can be made into King Beds if desired. Both of these rooms also have a Cable TV installed. The spacious and airy living/dining room is decorated to a high standard, in a contemporary Floridian style style. It has a large U-shaped sectional sofa that can convert into a very comfortable Queen-sized bed. There is a 42" Flat screen Cable TV with DVD player and surround sound. A dining area with large dining table and six chairs, multi-CD / tuner Hi-Fi unit, patio doors leading directly out to the pool. The very large heated screened Solar heated pool has a lovely patio area equipped with tables, chairs and sun-loungers. (Gas Heating is optional at a small fixed charge, and is available on request for the cooler months). There is also a new 5 person Spa located on the Deck which has proved very popular since it was installed. A spacious air-conditioned games room is provided to keep kids (of all ages) entertained - with a pool table, darts board, 32" TV c/w Xbox 360, 20" TV c/w Playstation 2 and some limited Games, Atari video games and bar with table and chairs. (the bar is there for you to stock !!) We have provided board games too: Chess, Checkers, Backgammon, Monopoly, Trivial Pursuit and Scrabble. There should be more than enough to keep the family / friends occupied !! A new portable gas barbecue is provided for those occasions when you feel like eating al-fresco. This is for use outside only. The outside stand for the BBQ is lit by proximity lights igf you need to cook in the dark. Telephone - is available in the Kitchen, the Great Room and the Master Bedroom (although they are wireless so you could take one into the Pool Area or Games Room if required). Local calls are free; long distance and international calls may be made using a telephone credit-card. All rooms have ceiling fans and air-conditioning. • Einchecken ab 4 p.m, Auschecken bis 11 a.m möglich. Abweichende Zeiten auf Anfrage. We enjoyed the accommodations and the rental process was good from start to finish. Rückmeldung George (Floridabestvillas) Gracias por su testimonio. Hemos verificado todo con la compañía de manejo, desafortunadamente los huéspedes no contactaron al gerente de la villa durante su estadía. Thanks for the feedback. We had everything checked by the house management. Unfortunately the guests never contacted the house managers during their stay. Freundliche und rasche Abwicklung durch FloridaBestVillas. Das Haus das wir gemitet haben wahr etwas in die Jahre gekommen, renovationsbedürftig und leider nicht Sauber. die Lage ist Top und auch ausreichend Platz vorhanden. Wir werden ganz bestimmt wieder über diese Agentur mieten, jedoch nicht mehr dieses Haus. Whole family loved it. Perfect, no complaints at all. Would recommend to anyone and hope to return. es war einfach super! Wie alle schon im Gästebuch geschrieben hatten: der Pool sowie der Games Room waren ideal um die Kinder (und uns selber) zu beschäftigen. Das Haus hat auch eine sehr ruhige, und trotzdem zentrale, Lage. Wir hoffen im Zukunft wieder nach Florida zu kommen.